Wine Clubs: Too Much or Barely Enough? 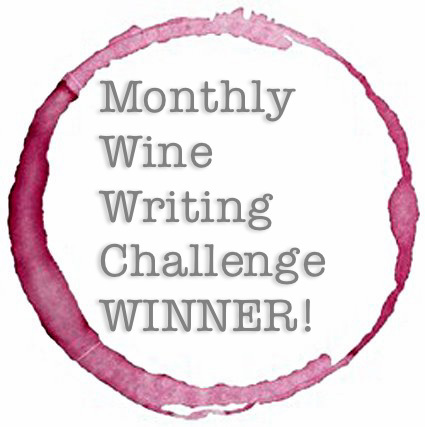 This week, I’ve been unpacking some of the wine from my spring wine clubs and allocations. I carefully removed all the bottles from their styrofoam pods, stood them up on my dining room floor, and admired my little wine bottle brigade. And then I thought . . . where am I going to put all of this? My wine cellar is already full — there’s no room in the inn. Wait. Do I have too much wine? Mark Twain once quipped, “Too much of anything is bad, but too much good wine* is barely enough.” *Mark Twain didn’t really say that. Twain was talking about whiskey — I put a word in his mouth. But Twain is a good sport . . . he doesn’t mind. A Hedonist in the Cellar (I don’t actually know Jay McInerney). But the advice really stuck with me: Get on as many winery mailing lists as you can. So I did. Patience and a little bit of stalking paid off, and now I’m a member of half a dozen wine clubs, and somehow I managed to secure allocations form half a dozen more. And you know how allocations work — once you get an allocation, you gotta order . . . or you risk getting black-balled the next year. And the wine accumulates. But do I have too much wine . . . or barely enough? I have a modest wine cellar. My wine cellar is a basement closet, not a temperature controlled safe-room. And I have hundreds, not thousands of bottles. But sometimes I wonder if I’m already well on my way to becoming one of those people who have more wine in their cellar than they can drink in a lifetime. I hope my kids end up enjoying wine as much as I do . . . their inheritance is going to come with a cork. In the spirit of moderation, I broke-up with a handful of wine clubs recently. If the wines don’t make my toes curl, it’s time to move on. And already, I’m >>this close<< to joining a new wine club. Alexana Winery in Oregon has been seducing me with their gorgeous Pinot Noir and Pinot Gris. I’m trying to resist, but . . . who am I kidding? I’m gonna fold like a soft taco. There’s just so much great wine in this world . . . changing the scenery from time to time is a good thing. 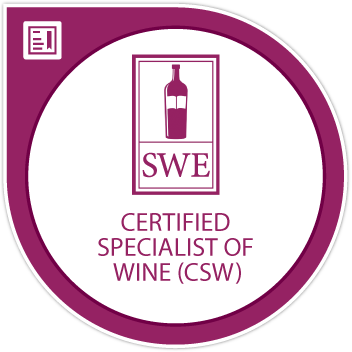 Do you belong to any wine clubs or have wine allocations? Do you have too much wine . . . or barely enough? Great post! I used to be a member of a bunch of wine clubs, but then I moved to PA where just about no one ships. That was the end of the clubs. I have a mixed feeling about wine clubs that might have to be a rant one of these days. I noticed plenty of Loring and Kosta Browne in that photo–when are we invited over? Virginia has gotten a lot better over the years with direct wine shipments. PA is downright medieval, though. You have my sympathies. That’s massively frustrating!! If you ever find yourself in the Piedmont of Virginia, zap me a line. We’ll have a Pinot Party! Anxiously awaiting your wine club rant . . . Salud!! We belonged to 4, but are now down to 3. I’ve been feeling the need to diversify and only kept those that have limited requirements AND are not readily available. When your wine closet is filled w similar styles of wine from one or two producers, it is time to branch out. You can’t buy wine in a grocery store in PA?!?? I changed my mind. That’s not medieval, it’s Neanderthal. Groan. Thanks! WTSO is going to be my undoing. That, and Last Bottle. I need to turn it off so I’m not tempted! I was once a member of a “California” (how’s that for vague?) wine club, and they kept sending me mediocre wines, so I had to cut them loose. I went through a beer phase a while ago, too. Really love the Belgian tripels . . . so food friendly! Salud!! I got a hold of a couple of bottles of Cayuse last year, but I haven’t broken into them yet . . . anxious to try them! Have you tried the Cayuse Cailloux Syrah? Aren’t the allocation emails tough? I feel like I can’t even read them . . . if I read them, I end up buying, and I need to be a bit more brutally selective about the whole process. Salud!! Thanks, Heather! If you know what wines you like, then you’re already there . . . keep buying and enjoying what you like . . . while sampling new wines. I love it when I try a “new to me” wine and discover something wonderful. Salud!! We were up in Niagara for spring break . . . I thought Canada had some lovely Rieslings and Gewürztraminers. Not surprisingly, the “cool” grapes do well in Canada. And the Icewines were outrageous . . . but you can’t drink those every day, can you? Salud! Interesting topic! I am not a member of any wine clubs, but that’s because I have a hard time with commitment : ) And I typically am not good about canceling membership for any sort of organization until well beyond the point that I wanted to be involved so I usually steer clear of those sorts of situations. I know . . . I hate it when I have to call a winery and cancel a club membership. They’re always so wounded when I tell them I’m “just not that into you” . . . ;o) Salud!! We go in and out of wine clubs — but one California producer NEVER disappoints, so we have been with them for a long time. If we didn’t have wine clubs, we would not have spectacular wines, as buying retail in My Land is very difficult. Salud! I’m not a member of a wine club, I usually have 24-28 bottles maybe a few more at a time. I have a wine cooler that holds 20 bottles and I keep a stash of whites in my 2nd refrigerator. I have toyed with the idea of a wine club but I get so much pleasure perusing my local wine stores to see what they have and what they recommend I just haven’t done it. I don’t really like wine clubs so I haven’t joined any. I prefer buying my wines in local wine shops and abroad. I have the feeling, that wine clubs are more of a North American phenomenon. I am not a fan of wine clubs, I just want to choose my own wines and I also want to choose when to buy them. Like The Food and Wine Hedonist, I have ordered wines from Wines Till Sold Out and I also use Last Bottle. We currently have around 150 bottles at our house, half of which are ageing Rieslings. That is more than enough for us, especially given rather consistent shipments of wine that friends bring from Germany. I know, we’re really lucky!! 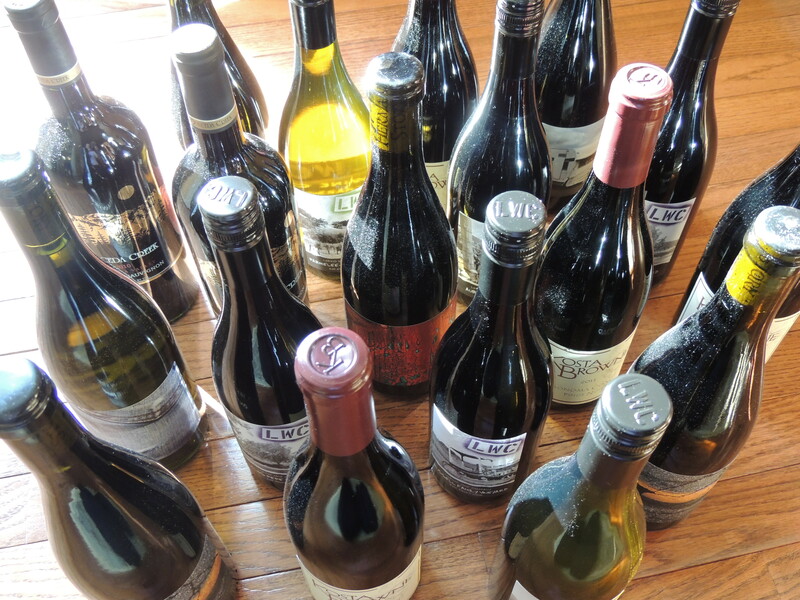 I just joined two more last month on the North Fork of Long Island where I regularly visit and discovered the amazing Winemaker’s Studio and Lieb cellars, and signed up. I had to stop myself signing up for two others. But I’m sure next time I too will fold like a soft taco! Good problem to have I think. I also have what might be considered a small collection at 40-60 bottles at any given time. That is my budget for now. But I get to drink new stuff all the time through work so here I am just collecting my favorites because I can’t always afford a trip to the wineries but want to keep drinking them and its hard to find some of them here in CT. I have to go at least to NYC for the specialty Long Island wines. For now my stash is in a closet rack but I am half a year away from a new home where I will have proper storage to go even more cash-poor, wine-rich. Which is ok with me. While these wine clubs do mean you have a lot from a favorite producer or region, Last Bottle and my local shops and weekend trips to new wineries help even it out. Best to have your favorites around AND keep trying new ones. At the few French wineries I’ve visited they had a different version of a wine club – people who are members/contributors to the winery don’t really get regular shipments of several new wines but do get one case of special vintages or wines made just for them to thank them for their support. BTW, where is this Piedmont of Virginia, you sparked my interest! Can’t be more than a six hour drive and since I”m such a T.J. fan, Virginia wineries are on my list to visit. I couldn’t agree more . . . drink what you like, but always try something new! I’ve been really impressed with the Rieslings (especially the dry ones) coming out of the Finger Lakes region of NY. They’re doing something right up there! It’s hard enough keeping inventory where I can imagine getting through it before my doctor orders a stop despite its modest size. In Ontario, there are clubs for many Niagara wineries, and yes, there are some great cool climate wines. But, variety is everything and I love the hunt. So, no wine clubs and my wife thanks me. First time on your blog. Thanks. Many wineries make ends meet via their clubs. So wine-clubbing is a way to support those with poor distribution or supply to get a following. But I’m glad to hear you shed a few. One should never get too trapped by what they once thought was “good”. Drinking what one thinks is good only narrows the definition. We broaden our enjoyment by broadening our palates. Try more new and weird things. Some clubs facilitate this. If a wine seems bad, don’t dismiss it, try it in a different context, chances are it’s not the wine’s fault we didn’t like it. Thanks for stopping by, waywardwine! I’m a big fan of trying new and weird wines . . . Salud! Nice site by the way. I think I got all soap-boxy because of others comments. Keep up the good work. Thanks! I hope you’ll hang around . . . Salud! Thanks for the shout-out and link! Cheers! !